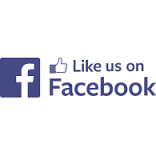 At Brisbane Foot Clinic, we have a range of revere Comfort Shoes at our Browns Plains clinic. You can browse our range from down below, or scroll down to learn more about the revere Comfort Shoes. revere Comfort Shoes provide all day comfort and support for men and women by enhancing foot health for those experiencing heel pain, tired aching feet, sore knees and lower back pain. revere sandals have been designed in collaboration with leading footwear experts to provide maximum adjustability to support many foot types. 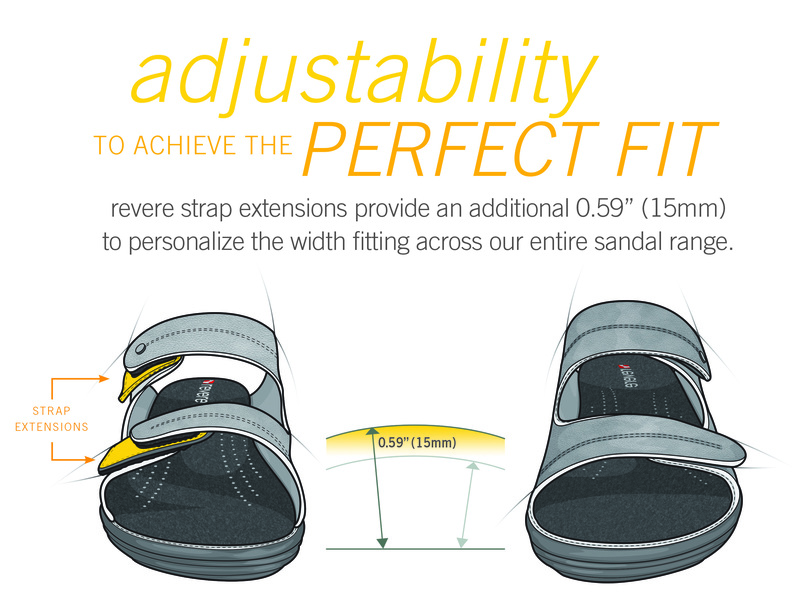 revere sandals provide a removable footbed for those required to wear custom made orthotic devices. The extra depth unit allows for a wide variety of custom orthotics to be inserted with out taking away from the styling of look of our shoes. The production of the revere sandals combines the use of premium quality materials and craftsmanship to produce their shoes by hand. All materials are hand picked and tested to guarantee that they meet their quality requirements before entering production. Throughout the production process, quality inspectors control every aspect from stitching accuracy to leather thickness to ensure high quality and the team at revere is devoted to delivering style and comfort across their product range for your pleasure. 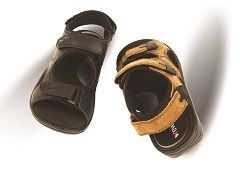 revere provides a removable footbed for those required to wear custom made orthotic devices. The extra depth unit allows for a wide variety of custom orthotics to be inserted without taking away from the styling or look of the shoes.